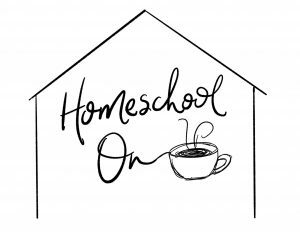 You are here: Home / How to get started / How we are Combining Unit Study and Charlotte Mason Homeschooling! 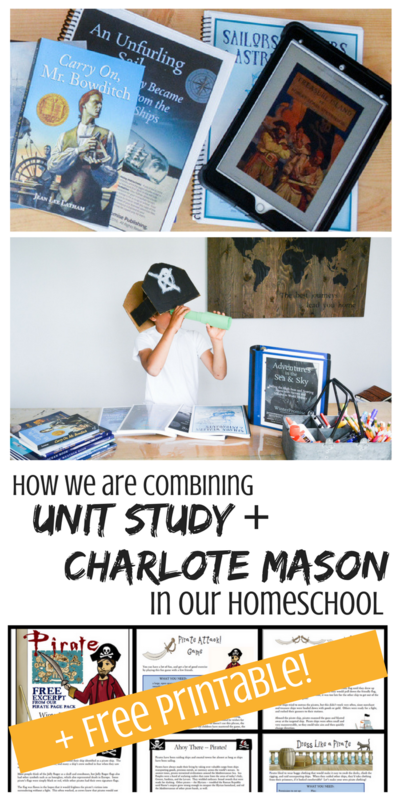 How we are Combining Unit Study and Charlotte Mason Homeschooling! 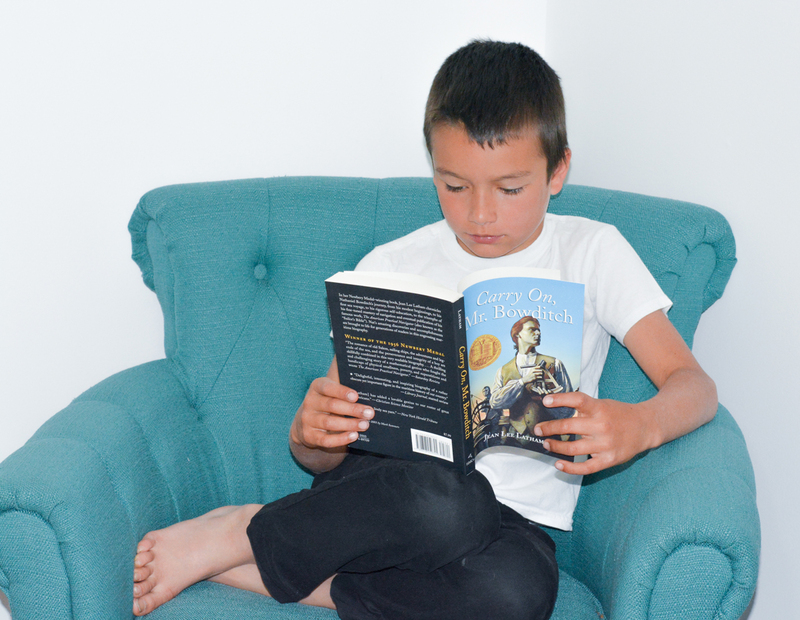 What if I told you that you could teach your kids Science, Bible, Art, Writing, Reading, History, Geography, and Culture with a single curriculum — all with a Charlotte Mason approach? I am so excited to introduce you to WinterPromise: an incredible curriculum publishing company that is open-and-go and one of my all time favorites. 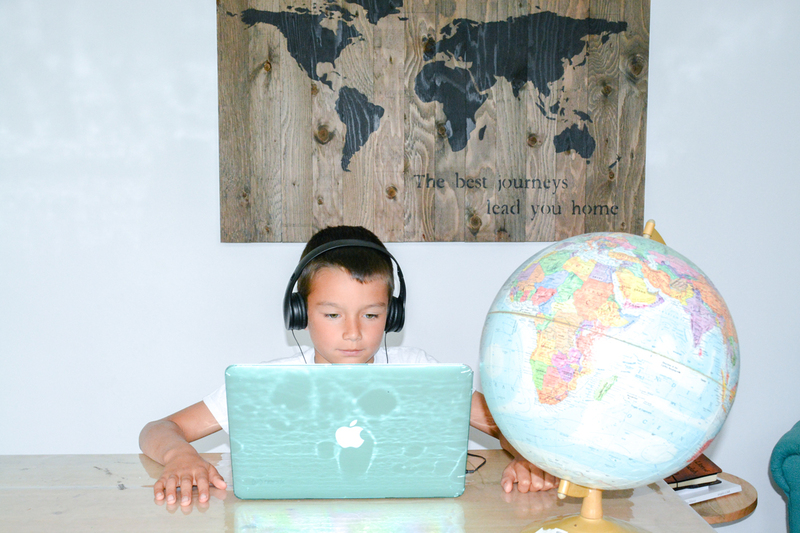 This year Caleb (my eldest, going into grade 5) has requested to do Adventures in the Sea and Sky, a themed program that combines all those subjects and more! It shows how history unfolded or was changed by advances and use of the technology of sailing, flight, and space travel. Children learn key historical events that were influenced by advancements or differences in the design of ships, airplanes or spaceships all the way from ancient history to early 21st century and the impact of how they used these or combined different advances to succeed–or fail. 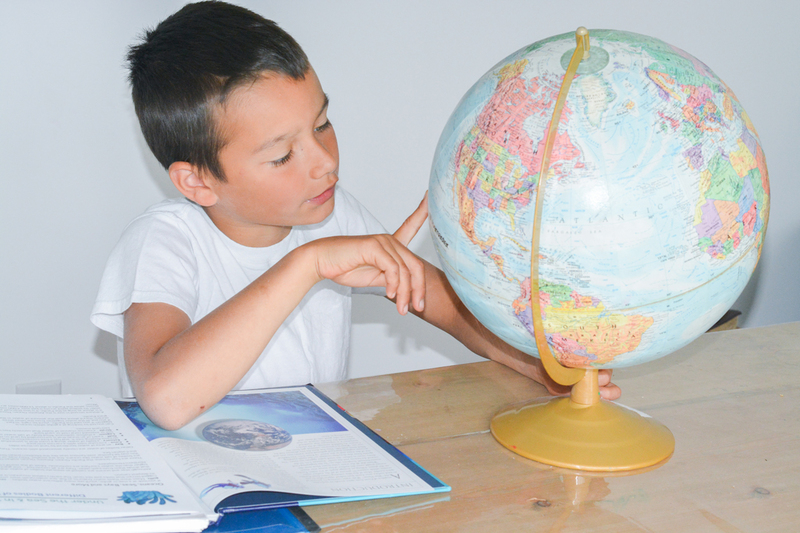 It incorporates all the main subjects other than math in a hands-on interactive way! Plus the amazing team over at WinterPromise has offered to give us a sneak peek at just how awesome their interactive notebooking pages are with a 14 page FREE printable Pirate Pack at the end of this post plus an exclusive coupon code, so keep reading! What is WinterPromise and why is it different? WinterPromise is a publishing company that creates its own, exclusive curriculum. It has an open-and-go approach: with a weekly guide laying out all your daily activities, the pages to read, and everything you need to incorporate multiple ages, learning styles, and subjects. As soon as I received my books (check out a sample HERE) I saw what set this program apart. Unlike many of the other all-in-one programs you will have seen on the market, WinterPromise creates its own exclusive living books and resources that you won’t find anywhere else. It utilizes Charlotte Mason philosophies such as narration, read-alouds, living books, hands-on learning, and CM ideals like valor, gallantry and bravery. 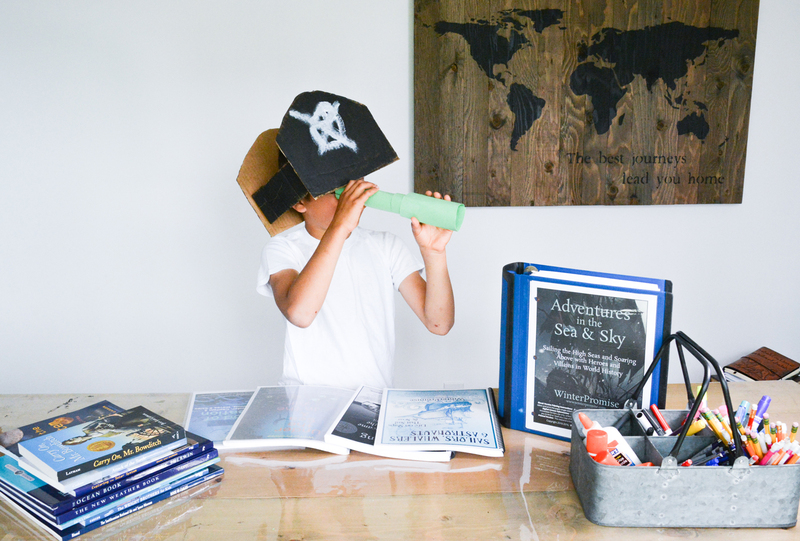 Every book, every resource is hand-picked not only to go along with the theme or program but also to make that subject come to life for the child. With other all-in-one curriculums we have found we disliked many of the books, we have yet to come across as single resource or read aloud in WinterPromise that we weren’t impatient to dive into! The very pages that the print version comes on are high quality, the color is vibrant and the pages are thick and built to last. 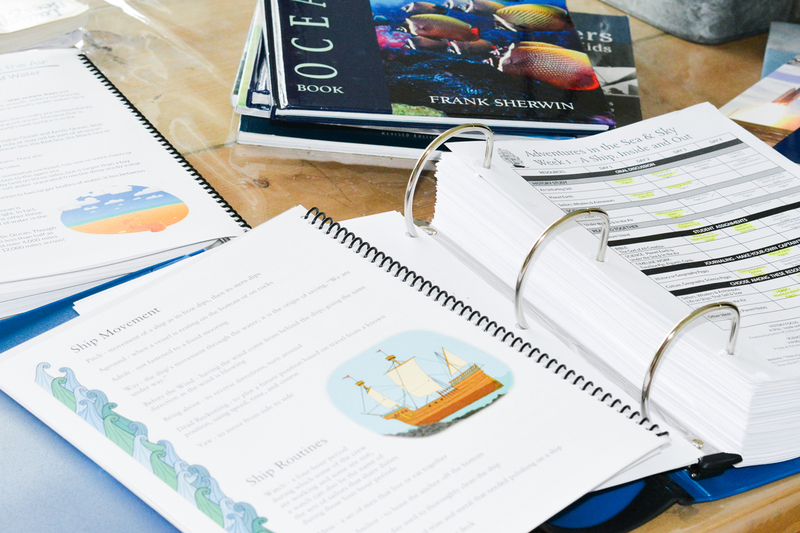 The themes such as Adventures in the Sea and Sky, blend a unit study approach covering many subjects in one and nearly all of WinterPromise’s curriculum comes with adaptations for older and younger students so that homeschool families can teach all their kids at once! WinterPromise carries language arts curriculum, science, history (check out their brand new American History HERE), notebooking resources, math, Bible, electives, and more! They have everything you need to homeschool your kids from preschool to high school all with this unique approach to learning that is both lasting and fun! 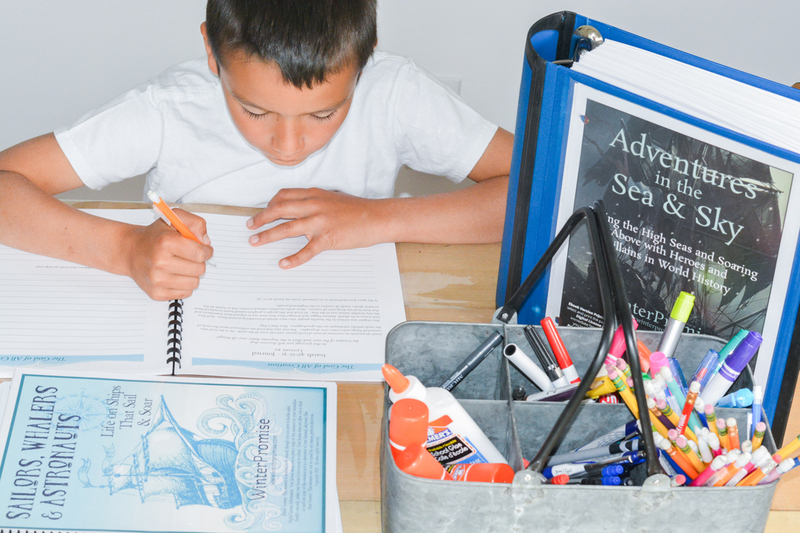 Adventures in the Sea and Sky is essentially a unit study that incorporates every single subject for your entire homeschool year other than math. 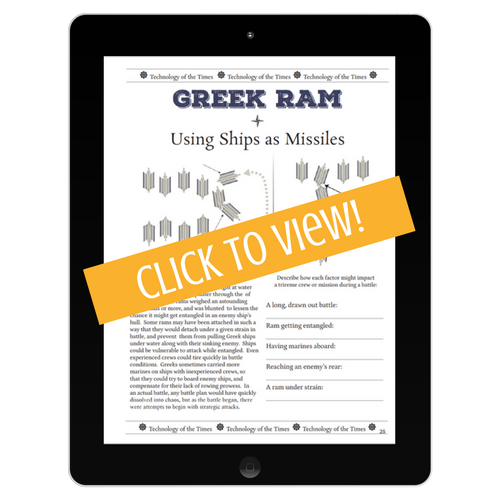 It uses a single theme (history viewed through the lens of advances in transportation from the sea to flight to space) to draw your students into Bible, reading, writing, geography, culture, history, science, and even art! This cohesive approach is a homeschool mom’s dream… no more grasping at straws trying to fit everything in, WinterPromise has done it all for you! 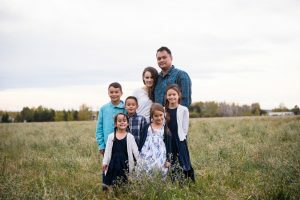 The curriculum is designed with grades 4-8 in mind, though there are additional young learner and older student guides that adapt the program from K-grade 9. It is available in both print and ebook version and sold as a bundle discount. 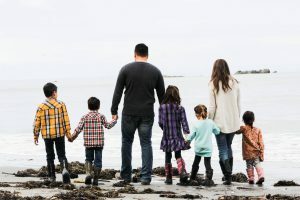 The ebook version allows you to print off multiple copies for use within your own family, so depending on how many kids you are wanting to do this with, you might want to assess the cost value of printing off your own books for all your kids at home. You can learn more about this program, plus watch a cute video about it HERE. Because the year-long curriculum is so FULL of resources, I am going to focus on the first section, Adventure on High Seas. It begins with learning about the different parts of a ship and seafaring terminology. Your kids will learn about the motion of a ship, the first boats, different bodies of water, how boats sail, and more! 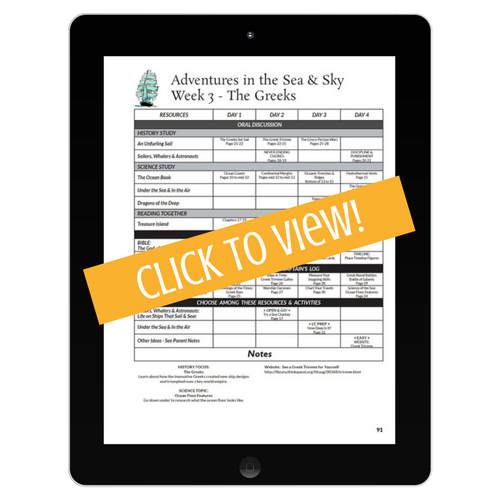 Week 2-6 children learn about the first people to take to the sea including ancient Greeks, Romans, Vikings, and the Middle Ages.Take a look at what WinterPromise exclusives you would use in just 1 week with this program HERE. As you can see in those 28 pages of exclusive content, this program is detailed, well-written, and fascinating. And that preview doesn’t even include all the additional books, internet links, DVD recommendations, and other resources that each week refers to. You can choose your level of involvement, literally picking activities based on the ones that are easy, light prep, no prep, open and go, or detailed. Each activity is laid out for you and tells you what supplies you need so that you can plan in advance and adapt the program to suit your needs and how much time you want to invest in it. Once you learn about ancient history, you move on to studying the Renaissance and the age of exploration. Your kids will discover pirates and wars and the vital role that the strength of your fleet had on your position as a country. They will map trade winds, study ocean layers, study great naval battles, see inside a coral reef, journey to a shipyard, create their own pirate costume, swords, telescope and hat and SO much more! You will explore the world with Columbus and learn about slave ships, read books that open your kids’ minds and bring them into that time period. Immerse yourself in the time period! From there you move on to Industrial Age shipbuilding and 20th-century ships. Together you’ll learn about World War I and II, global power, luxury liners, the British Empire. Your kids will learn about dolphins, seals, sea birds, and sea reptiles. They’ll study world maps learn about signal flags and naval discipline. You will learn about whalers, steam ships, the Titanic, economic competition at sea, the water cycle, and naval technology! You will record outdoor temperatures, make a cyclone, design a luxury liner guest suite, create a treasure map, make their own nautical rug, and more! 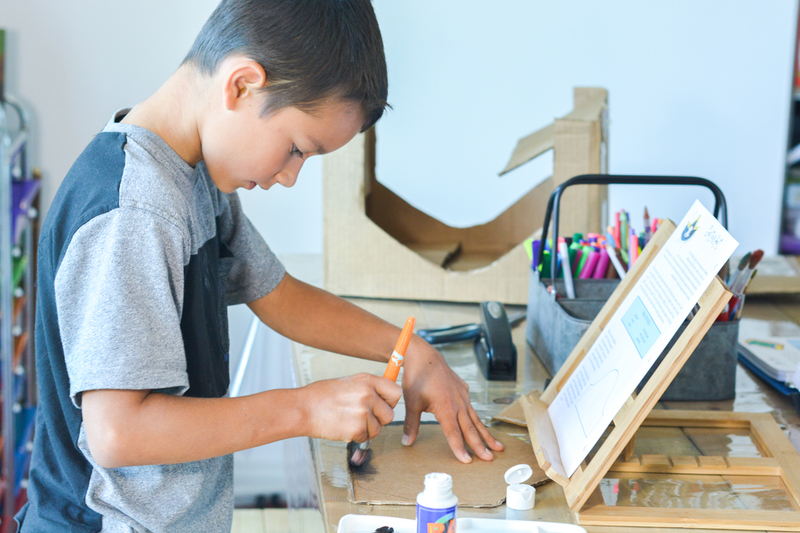 There are so many hands-on activities to do with your kids and you can pick and choose ones that interest both you and your child and/or are a good fit with your schedule that week OR are a good fit for their learning style! TONS of recommended additional resources, videos, websites, and more! I hope you are beginning to see just how unique this curriculum is. Not only is every single resource quality, engaging, and fun BUT it is easy to use and incorporates everything that makes a Unit Study or Charlotte Mason homeschool style awesome! We are so enjoying diving in and learning geography and discussing historical points and reading classic literature together! I have found this fits the principles of teaching through the classics with a Thomas Jefferson Education as well as the value of unschooling and running with what interests our kids, primarily because my son specifically requested this and is interested in the program. He is the forerunner in bringing this into our homeschool and the rest of us get to join him and learn alongside him! We love this program so much that we have decided to use it for Caleb for most of his schooling this year. While he is definitely ready to do most of this program independent from me, I don’t want to miss out! I am choosing to do all the reading and activities with him and just setting him up for his devotions, coloring/notebooking, and additional resources on his own. I find that it takes us about 2 hours to complete in a morning together and the richness of the content makes it a time of bonding, interaction, and deep discussion between us. We have been doing the read aloud together at bedtime to break up the day and have his undivided attention (sometimes daddy takes over in that department). I begin each morning having him narrate to me some open-ended review questions from the day before. This is the primary way that I assess how he is doing and what we need to cover again and is explained in detail in the beginning of the program as well as how that aligns with Charlotte Mason’s ideas and values. Caleb is doing Teaching Textbooks for math and that is super easy to bring in with this program, WinterPromise even includes an independent guide for the kids and gives you space to write in their math and any other assignments. Once I have finished doing the bulk of the reading and activities with Caleb, I give him his independent guide and let him slowly work on it at his leisure. 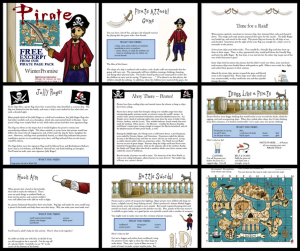 To show you just how amazing these notebooking and interactive journaling resources are, I am so excited to be able to share with you a downloadable 14-page printable pirate pack! This is just a sample of some of the pages and a great way to see if this program is a good fit for your child. To get your download, simply enter your name and email in the box below and check your inbox for your free download link! Comment below if you have any questions or check out the website HERE to read more about Adventures in the Sea and Sky. I will be posting about it in the months to come on Instagram, so make sure you are following me on there! just SOME of the books! PLUS I have an exclusive coupon code for you guys to get $20 off any Sea and Sky package (including Sea & Sky Starter Print Package, Basic Print Package, Premium Print Package, Starter Ebook Package, Basic Ebook Package, Premium Ebook Package, Starter Mixed Package, Basic Mixed Package, and the Premium Mixed Package). Simply CLICK HERE or on the image below and use code: traverse1720! Want to see more? 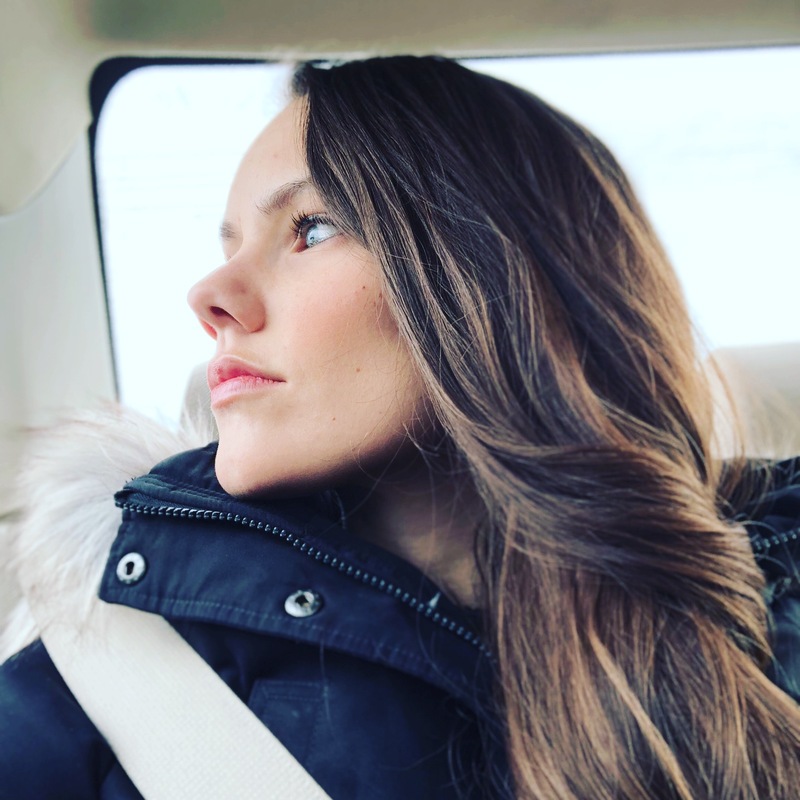 Join me LIVE! I am going to be doing a live event on June 26th at 12pm PST on my Facebook page. We’ll be showing you all the books, my son will share how he is liking the program, and I’ll talk to you about what sets this program apart. Plus, you can ask your questions live and get instant answers. CLICK HERE or on the image to join the event and I can’t wait to see you there! How long is the coupon good for? I am considering this curriculum and was just wondering! It will be good through 2017! I bought when I promised when I first started homeschooling a couple years ago exclamation point their unit study on world history! All the notebooks and all the information or so overwhelming to me I didn’t know how to organize them and so I abandon ship LOL! However this study has always been in my radar so to speak and I knew that I really wanted to try this again someday. For me I felt like I was jumping from one book to another I can’t seem to figure out how to organize it so it runs smoother any ideas? I’m going to definitely look into purchasing this one this summer! I am SO intrigued, but I have read several reviews that say Winter Promise is kind of choppy and overwhelming — that the subjects/activities don’t always align very well. I am a checkbox type of person, so I’m not sure I would do so well with a curriculum that has too much to choose from, either. I have a 4th and 7th grader. Tips/suggestions?? 🙂 Thanks in advance! Love your blog and reviews! I was wondering if you plan to do this alongside America’s Story 1 from MasterBooks that you recently reviewed?